I really enjoyed Saturday Review's Ten rules for writing fiction feature and, judging by the stats for page hits and the buzz about it on Twitter and other sites, so did many others. Lesson Plan | Developing Internet search strategies by trial and error, and telling the stories of these searches to benefit other Web users and researchers. Voluntary extensive reading is an effective way for Koreans to acquire English fluency, an English education expert believes. Shin Kyu-cheol, professor in the department of English language at Far East University, feels it can expose them not only to the language but also to culture and material that would motivate them to study. Koreans are learning English as a foreign language (not a second language) in an environment where exposure to the language and culture is rare. Reading would help increase the exposure, Shin said. Through reading books that are rich in linguistic and cultural elements, one can learn how words are used in specific contexts, and enhance critical and creative thinking skills and cultural understanding. Shin, who has headed the Korea Association of English Reading Education, a group of some 100 English education experts, since its inception in April 2008, underscored that starting with boo ks that are interesting and easy to read is important. There are many books that have been adapted according to learners levels. Learners should choose books that are one level lower than their current one to maintain their interest and motivation, Shin said. If the books are not interesting, reading could become a difficult chore, which would discourage learners to continue to read. The professor claimed that through extensive reading, learners can develop all four language skills - reading, writing, speaking and listening - in an integrated way. While reading books extensively, learners would repeatedly encounter words and expressions, which will be then internalized and used proficiently when they write things in English, Shin said. With the proper training to recognize sounds for corresponding words and expressions that they have read, learners can develop their speaking and listening skills. They can use a wide array of multimedia materials containing what they read in the books. Multimedia materials can be helpful in enhancing learners phonemic awareness to enable them to hear, identify and manipulate phonemes, the smallest units of sound that can differentiate meaning, he said. Noting that despite many years of studying English, many Koreans have difficulty speaking English, Shin said Koreans should remove their obsession with being perfectly accurate in their language production. Psychologically, Korean learners seek to be perfect and accurate in their use of English. That is why they are reluctant to speak English and write things in English as they fear making mistakes, Shin said. What matters is whether they can communicate with the international communication tool, not whether they have a native-like pronunciation. Shin also stressed that there should be changes in the current public English education. English education should b e learner-centered. Securing good teachers is important, but what is more crucial is to forge a good learning environment in which students are motivated to voluntarily study English, he said. Teachers can play a role of a facilitator who can help students select good books and study in good reading environments. Copyright 2001 ~ 2003 Herald Media INC. All rights reserved. Contact webeditor@heraldm.com for more information. Lyrics Training looks like a neat new website using music and lyrics to help people learn English. You can read more information about it at The English Blog. The big problem, however, is that it appears they only use YouTube videos, which pretty much makes it inaccessible to most schools in the United States (since most content filters block YouTube). Because of that, I won't be it on The Best Music Websites For Learning English. Too bad they don't "rebrand" their videos like some other websites so they can be accessible. I came across the Audio Archive yesterday while searching for information about the pronunciation of English dialects. The archive is part of an newsgroup about English and contains recordings by English speakers from around the world of a number of different texts. Other collections of English dialect recordings including the British Library's Sounds Familiar? and Archival Sound Recordings, the BBC Voices project, Sound Comparisons, the American English Dialect Recordings at the Library of Congress, and the International Dialects of English Archive. I’ve been thinking about some quick ways in which you can practise English as you go about your daily life. I realise that not everybody is in a position where they are surrounded by English every day. For others they have very limited time to practise and need ‘quick fixes’ to keep their language skills moving. One area which poses a particular problem here is speaking. I thought back to my early days of learning French, I was in a similar position with no French around me and without things like internet access that are available today! I invented little tricks and tasks to do in French to keep the momentum going. I’ll share these with you here and I’ve added a few more that I have observed from other people. So, wherever you are and whatever you’re doing you can do a little effective practice! These will work with any language you are learning. Warning – you might want to do some of these behind closed doors! All the activities require a little imagination, do them when you are performing routine tasks. I love to sing and do these quite often. Great for in the shower, washing the dishes, cleaning or driving. 1. Choose a song you like and make up English lyrics – anything will do, wild and wacky or sad and sentimental. 2. Invent a ‘jingle’ to advertise your favourite chocolate bar, car, band etc.. let your imagination go wild! 3. Make up a rap about what you are doing. OK, so how do these help anything, you may be asking. There’s spontaneity, which is something you also need when speaking – you don’t know what’s coming next. You can be totally uninhibited and try anything – true freedom of expression! It will help you drag out vocabulary from your boots, you’ll be surprised at what you know. You’ll also find out what you don’t know – no worries – look these words up in your dictionary later on. 4. Cooking is GREAT for this! As you prepare your dish/meal imagine you are on TV and show your audience how to make it. 5. Choose another task you are doing and imagine you are making a video to show others how to do it. This is great practice for giving instructions and describing a process. Conjure up a team to help you and soon you’ll have your own TV studio!! Get into the part. You could even invite your friends to join in too! 6. Learn a poem or verse by heart and then practise it while you go about your daily tasks. You can, alternatively, base it on a poem in your own language or even make one up. When I was learning French at school we used to memorise poems and ‘perform’ them in class – great for pronunciation!! 7. Converse with your dog or cat! You have a real live partner for your conversation even if you get very quizzical looks! (I always did). It adds a dimension to your creativity and great for pronunciation. 8. OK, you need a microphone for this, so grab that washing-up brush, wooden spoon or shower gel bottle and make that speech to your invisible audience!! 9. Grab your ’microphone’ again and pretend you are a tour guide and give a guided tour of your city, town or village! 10. Get Gapfillers word of the day on your mobile phone. An effortless way to improve your vocabulary! Make your language practice a part of your life!! 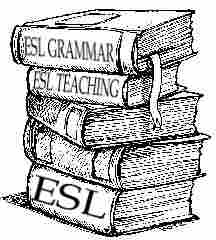 Check out these posts to help you with your English practice. Warning – mistakes cost marks! How do YOU feel about using computers to study English? This informal classroom survey was directed to ESL learners in US secondary schools. Would online international, adult learners studying in an online class or on their own respond the same? Now, getting back to this week — here's a copy of the survey students completed. Proofreading: Spelling and Writing is a really nice series of many, many exercises where students have to correct paragraphs. It's divided by levels of difficulty. I'm adding it to The Best Online Interactive Exercises For Writing That Are Not Related To Literary Analysis (It's a long story about why that list has that title — you can read the explanation in the post). Thanks to the Langwitches blog for the tip. Where do you read the new? What are your thoughts about internet culture and how it is changing the way we learn, read, acquire and process information (to turn it into knowledge)? The consumption of news -- that formerly-respected category of information outside of humorous cat and music videos that impacts hundreds of millions of peoples' lives -- could be substantially improved by new methods of subscription offered online. Unfortunately, that's not happening. Numbers from web traffic analysts Hitwise released tonight indicate that almost nothing has changed in 10 years when it comes to popular consumption of news online. The big portals and search engines, delivering their version of news, remain in control. That's bad for independent thinking and human free will. If you were hoping that a new world of web technology would empower free-thinking people to subscribe to diverse sources of information and analysis about the world's news, then Facebook, albeit a little awkward as a news-reading platform today, may be your best hope. On Monday we argued that Facebook's call to users to subscribe to news outlets on the social network could soon make it the world's leading news-reading platform. Hitwise picked up on that story and ran some numbers today. Their conclusion: Facebook already drives 350 times as much traffic to other websites in the "news and media" category (3.5%) as Google Reader does (.01%). Perhaps more importantly, though, Facebook, Google News (1.4%). and Google Reader together account for less than 5% of news sites' total traffic. The #1, 2 and 3 drivers of traffic to news sites? Google, Yahoo and MSN - portals and search engines where the editorial judgement is made by centralized algorithms and powerful front-page editors. So Facebook is the web's most popular subscription-enabled place to read news; be it from links shared by friends or by becoming a Fan of news organizations like Facebook is now encouraging. That doesn't mean that Facebook is yet a better news-reading service than dedicated RSS readers are. But it has certainly caught on as a way to read news far better than dedicated news-reading software has. In fact, it may offer the only meaningful chance that the technologies of online self-publishing and simple subscription are going to change the world like they ought to. Last week, Google Reader accounted for .01% of upstream visits to News and Media websites, about the same level as a year ago. Google News accounted for 1.39% of visits and Facebook 3.52%. Facebook was the #4 source of visits to News and Media sites last week, after Google, Yahoo! and msn. News and Media is the #11 downstream industry after Facebook, receiving 3.69% of the social networking site's traffic. To offer a comparison, 6% of downstream traffic from Facebook went to Shopping and Classifieds last week and 6% to Business and Finance and 15% went to Entertainment websites (YouTube in particular). We detailed on Monday a number of ways in which Facebook was already the best place for millions of people to read and share news, but when looking at these Hitwise stats it's important to realize that it's traffic that's being counted. So full feeds inside Google Reader deliver the whole story, whereas Facebook snippets require that readers click all the way through to the source site. None the less, a multiple of 350 is a multiple of 350. Google News, the 2nd leading news reader according to Hitwise, made some nice changes this week around starring stories to track over time. That could increase its marketshare. But Do-It-Yourself subscription to diverse selections of news sources may be contrary to the contemporary human condition, as desirable as it may be. As web standards guru Jeffrey Zeldman said in an unrelated post this week about the closed nature of the iPad: "The bulk of humanity doesn't want a computing experience it can tinker with; it wants a computing experience that works." The same could probably be said for news about the world, and look where it's gotten us. I'm not saying Facebook is a better way to read news than through an RSS reader. I'm saying no one uses RSS readers, even after years of their being as obviously life-changing as many of us know they are. Instead, people are beginning to use Facebook to read news. That's good, because platforms that encourage independent subscription instead of just consumption of pre-selected news are very important. Hitwise reported in September that of traffic leaving Twitter, for example, only 3.4% of it went to News and Media sites. In other words, consumption of online news may not really have changed much for almost anyone in the last 10 years. You, dear reader who probably came here from Twitter or Google Reader or Facebook (maybe Digg if we're lucky), appear to remain part of a freakishly small minority. That minority may be disproportionately powerful, driving market trends (maybe) and running circles around information streams online (definitely), but the experience of finding out news about what's going on in the world may not be a structurally different thing for almost anyone else, as it is for us. This is your news on portals. That doesn't bode well for the long-tail of publishers, small voices given volume by easy publishing tools online. The subscription tools to make those long-tail voices a regular part of our news life have arrived - but no one is using them. Except Facebook, in growing numbers. Above: News outlets post to Twitter using RSS, manually or with applications like Networked Blogs. Facebook is the player to watch. Facebook - the dreaded privacy-violating, Farmville-drenched, closed-data, social networking megalith (which is also fun to use and great in many ways) - could be the web's best hope for transforming the world through the power of online syndication and subscription. So what are you going to do, Facebook? Are you going to move news about the world to an honored and important place on the site, are you going to reverse your December move pushing Fan-page subscriptions irrevocably public (a hostile environment for subscription) or are you just going to post an occasional post to the company's blog about how you can use Facebook to subscribe to news feeds - through a tedious process? I'm hoping Facebook will take this opportunity and encourage its giant nation of users to add subscriptions to diverse news sources to their news feeds of updates from friends and family. That could deliver a tangible improvement to the world's information landscape, like the internet was always supposed to do. Become a Fan of ReadWriteWeb on Facebook and get all the most important web technology news and analysis delivered to you on the world's leading news consumption platform! Word Vine is a fun game where you basically have to create compound words. It's probably most accessible to Intermediate and Advanced English Language Learners. Since it's a Miniclip game, though, I don't know how many School District content filters will actually allow it through, which is a problem with a number of other links on my website under Word and Video Games. I've put asterisks next to the online video games that our District lets go through, but haven't gotten around to doing that for the word games.